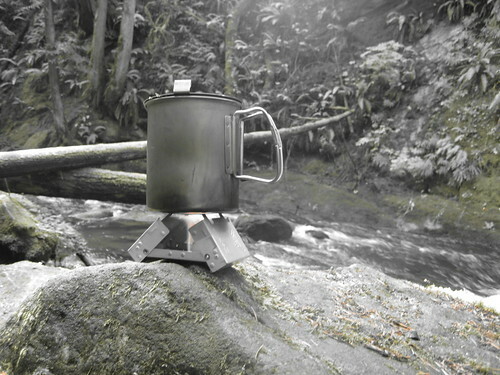 In the damper months, I like to throw a small stove in my pack. 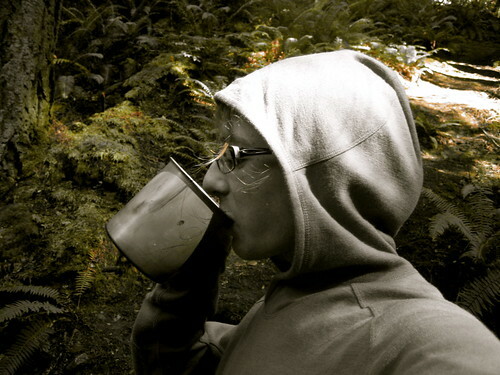 A warm cup of tea encourages further exploration of the woods, which seem to come alive after a rain. This post was published on 2008-09-21 . It was modified on 2012-09-15 . It was tagged with quote, bushcraft.